It’s about time we give “Golden Girls” a new meaning. Say goodbye to the endearing, ageless women of TV lore, and say hello to a new adventure destination for ladies who love to get away from it all, but want to be part of the action. Small town mountain vibes? Check. Great dining? Check. Adventures galore? Check. Adrenalin will take you anywhere in this town, and if you like having options, Golden is the place to be. 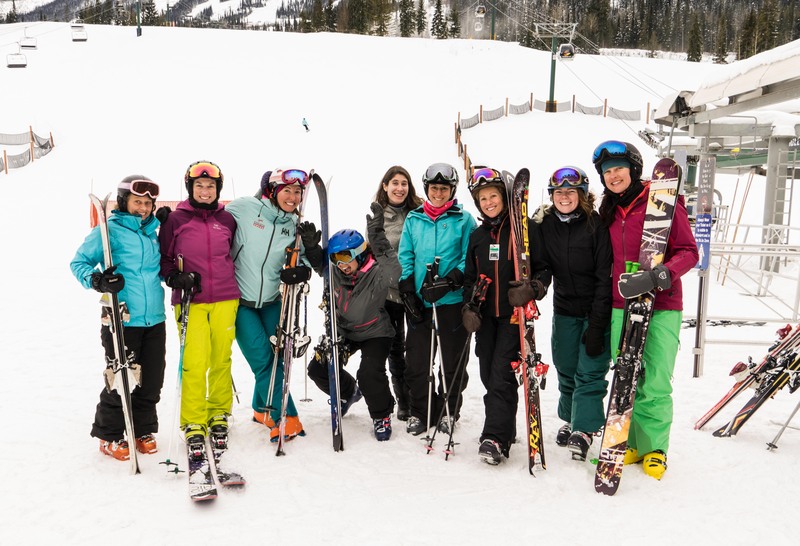 Here’s a five to one checklist of why Golden BC is the perfect girls’ adventure destination. Five National Parks: Golden is surrounded by five National Parks: Yoho, Banff, Jasper, Glacier and Kootenay, each with a distinct feel. You could spend a lifetime in these five world-class parks and still not explore it all. 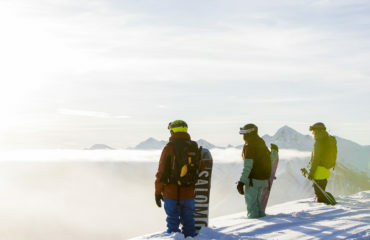 More Than Four Thousand Vertical Feet: Kicking Horse Mountain Resort offers 4,133 feet of vertical, to be exact. With more than 120 runs, even the most athletic skiers can find their challenge. Your legs will be begging for apres-ski by the time you hear last chair being called. 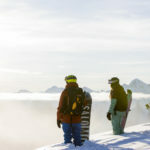 Thirty-Three Kilometres of Nordic Trails: Check out the Dawn Mountain Nordic Centre, where 33km of skate and classic ski trails surrounding Kicking Horse Mountain Resort. Its base is less than 1 km from the main resort ski base, and includes a warming hut chalet. 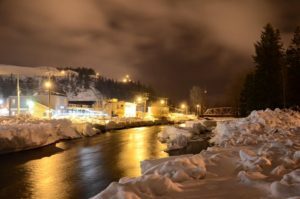 Confluence of Two Rivers: Nestled at the confluence of the Columbia and Kicking Horse Rivers, Golden has that feeling of being tucked away in the mountains. Once in town, check out great dining options such as Eleven22 Restaurant and The Wolf’s Den. One single gondola ride up to the summit: The Golden Eagle Express Gondola will whisk you to the summit in one easy ride. 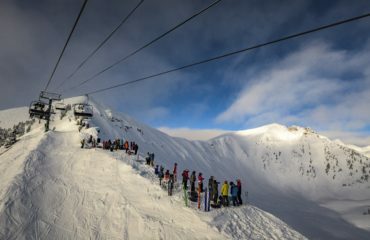 Once you’re there, get ready, it’s a long way down to the base, with a seemingly endless number of runs to choose from. Or, enjoy dining on top of the world at the Eagle’s Eye Restaurant, located at the top of the Golden Eagle Express Gondola. Known as “Canada’s most elevated dining experience”, you’ll be welcomed by 360 degree views, where you can sip on champagne as you gaze out to some of the world’s best champagne powder. The restaurant is open daily for lunch visits, and Friday, Saturdays and holidays for dinner. Reservations are highly recommended. Mild: Stroll across Golden’s beautiful pedestrian bridge as you explore the shops and restaurants of town. 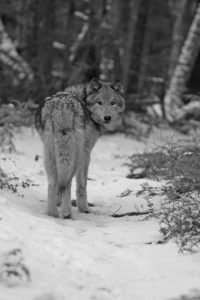 Spicy: Ever wanted to walk with wolves? You’ll get your chance at the Northern Lights Wildlife Wolf Centre, located in the Blaeberry Valley just outside of Golden. Advance bookings required. 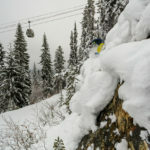 Wild: Take on “Truth and Dare”, also known as runs #94 and #95 at Kicking Horse Mountain Resort. These two runs are rated double black diamond, and are a locals’ favourite. 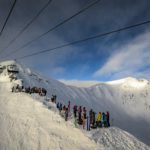 They’re home to the Helly Hansen “Wrangle the Chute” Four-Star Freeride World Qualifier. 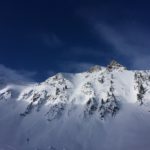 These steep, rugged, narrow chutes are reserved for only the most experienced skiers. “A ship in port is safe, but that’s not what ships are built for.” – Grace Murray Hopper This is the philosophy that Paula Worthington applies to her life – whether it’s in the great outdoors or in the boardroom. A public relations leader in Calgary, Paula also loves traveling to far-flung places and adventuring in her Rocky Mountain backyard in Alberta. She’s walked for days across countries and islands, wandered ancient forests, strolled with wolves, stared down the meanest of bulls, skied to quiet backcountry spaces, discovered new happy places and created some incredible memories along the way. She shares her adventures through her candid stories featured on the Postmedia Network, Seekers Media and more.